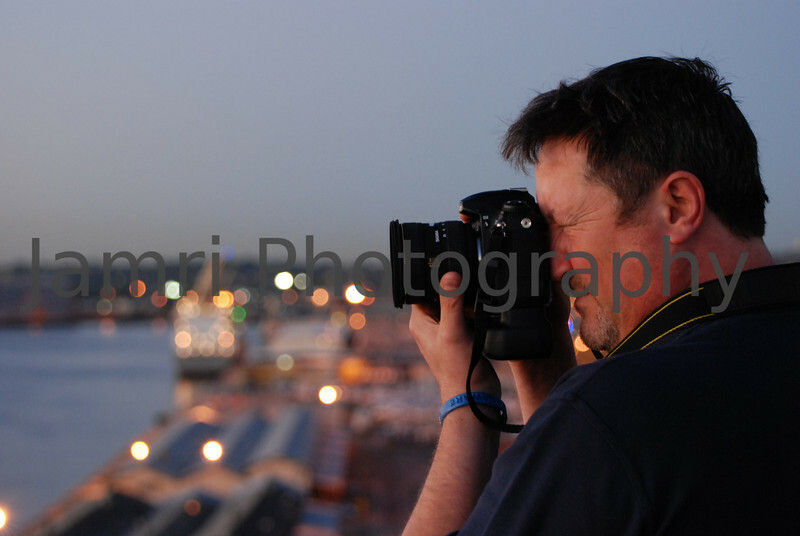 Title: "A Portrait of Photographer Peter Lee"
Location: Fremantle Port Authority Building, Fremantle, Western Australia. Notes: Peter and I both worked in IT at the Fremantle Port Authority. Peter has worked in the past as a full time professional photographer and still has a side business photographing weddings and portraits. To see some of Peter's works visit www.peterlee.biz. This photo was captured with a Nikon D80 camera + Nikkor 70-300VR lens. Terrific shot! Love the composition, and the background. Great portrait! I really like "photographer photographs other photographer(s)" photos like this one. Really nice bokeh, too!